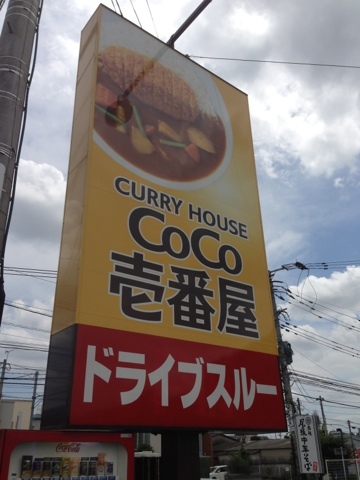 Drive thru Curry House CoCo Ichibanya, in Fukuoka Japan. I'm not sure about all the prefectures in Japan, but since I have just recently moved to Fukuoka in the south, I have noticed that most franchise chains offer Drive thru to go service. 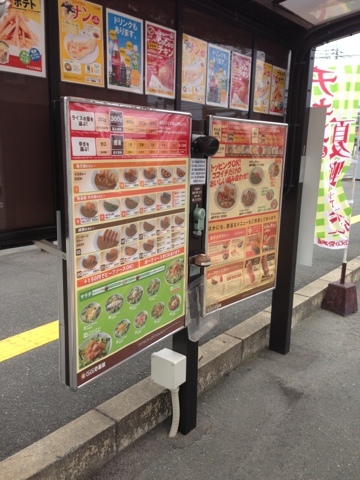 These restaurants are hot noodle places like Nagasaki Chanpon, Japanese curry houses like CoCo Ichiban, and even Yoshinoya (beef bowl restaurant) has a drive thru order window. I'm not sure if I want a hot bowl of noodles of my lap driving home, but I am sure the convenience of having fast food other than McDonald's is a sure seller. 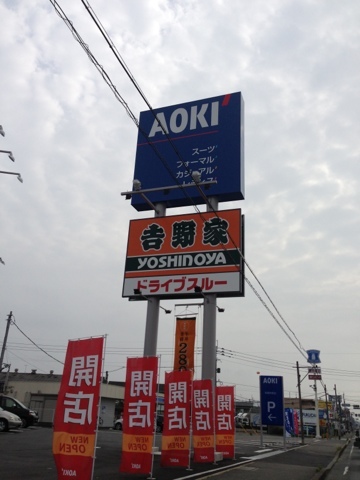 Yoshinoya drive thru in Fukuoka, Japan. I think most of the people who order their food park and eat in their cars or live close enough that they can eat at home. Next time I will have to give it a try. With 4 kids at a restaurant sometimes it is a lot more civil for us to eat in our car rather than to have a table.